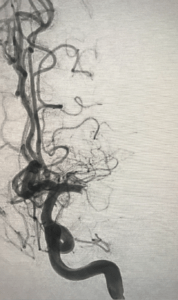 Dealing with acute major vessel occlusion stroke in a peripheral hospital setting is not what it used to be. Nor should it be! This is a recent case from one of the team. This is a case of a 55 year old chef who woke up at 6am unable to speak or move the right side of his body. He had been out the night before for his birthday and had a few drinks but was home by 11pm. His wife noticed he was dragging his right leg, but put it down to the night out. He arrived at our rural hospital at 6.30am and was quickly assessed and transferred to the local tertiary hospital, where he arrived at 7.45am. At 8am the ward round was commenced and he was assessed by myself as the ward round continued. It was an obvious large CVA from the end of the bed, he was in Atrial Fibrillation on Xarelto, with a known cardiomyopathy. Neurological examination showed that he was asphasic, with 0/5 power in the right arm and 1/5 in the right leg. I kept him on the Ambulance trolley and accompanied him to the scanner. Had he had a bleed? A Non-contrast CT brain showed no bleed. I immediately called the stroke team at the local tertiary referral hospital. I explained the situation and was asked a series of questions (about 20) to which I only had the answer to 19. (It was basically every question in the NIHSS score sheet!). When I explained the urgency of this case and asked to speak to the consultant on for the day, I was offered a conversation with the advanced trainee. When I asked whom I was speaking to, it was revealed that it was the medical student, doing his neurology term. My blood pressure began to rise and I nearly had a stroke myself! I immediately called the interventional neurology-radiologist who asked for a perfusion scan plus CTA to be done and images to be sent to him by text. One text later and less than one minute later, it was requested that the patient be transferred for clot retrieval. He arrived at the target hospital and was immediately transferred to the intervention lab where his left MCA was revascularised. 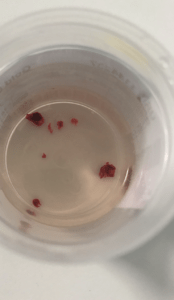 The clot in shown in the plastic dish below. He was kept in for 4 days and then transferred to a stroke rehabilitation unit, where he self discharged after 3 days as he didn’t like the food. He had normal speech, full power to right arm and leg and a normal gait. A great outcome for this patient and a very impressive door to revascularisation time, bearing in mind he attended three hospitals that morning over 100km apart. The total time from initial presentation at the first hospital, to revascularisation was less than 4 hours. When should we contact the neuro-interventionalist directly with these patients? In my opinion, as soon as major vessel obstruction has been demonstrated with a core of less than 70grams. Measuring this is best in the hands of the interventional radiologist but as soon as the nod has been given for intervention, we must act quickly to get the patient on that table! Very much like a STEMI of a coronary artery. 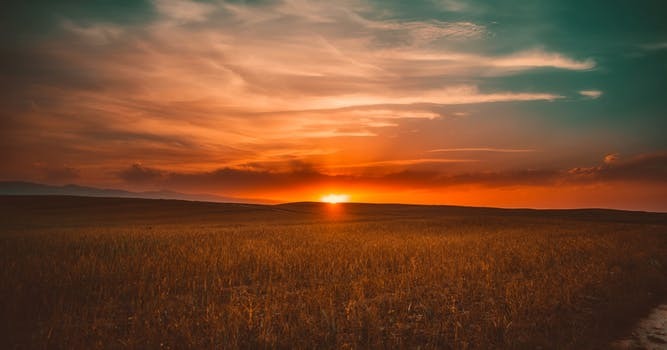 The DAWN trial shows benefit up to 24 hours which we may not be aware of, with this in mind and the problems with thrombolysing strokes, is it time we re-thought the process for managing large CVA’s? I think so. Graham will be presenting this case and more at EMCORE.